NoMoneyLaundering.com Affiliate Members receive substantial access, recognition and lead generation benefits throughout their membership term. By increasing their effectiveness and success, NoMoneyLaundering.com members, who are devoted to best practices in anti-money laundering and terrorist financing compliance seek and purchase services and solutions that you provide. With the 2015 acquisition of TONBELLER, FICO® offers a comprehensive modular set of solutions to fight money-laundering, fraud, terrorist financing, and to fulfill bespoke requirements for Governance, Risk and Compliance in the best possible way. As part of the Siron® Anti-Financial Crime Suite the AML and KYC modules are the most widely used solutions in the world, with over 1,000 installations in over 100 countries! Siron® solutions consistently follow the risk-based approach and support all phases of the compliance process with integrated solution modules; from specific risk analysis and continual risk assessment to monitoring of transactions and behavioral patterns, as well as a central case management with risk and compliance dashboards, and numerous best-practice scenarios gleaned from the large number of customer installations. The software is highly standardized and configurable and provides for a fast roll-out, based on the latest compliance requirements. This paves the way to genuine cost efficiency, transparent total cost of ownership and solutions that can grow along with the challenges of our customers. Matrix-IFS (formerly known as Matrix-Exzac) is a leading provider of world-class business & technology solutions to the Financial Industry. Our focus is in the areas of Compliance, Financial Risk, Fraud Prevention, Business Intelligence and Cyber-crime. Matrix-IFS operates globally with offices in New Jersey, Florida, Great Britain, Israel and Australia. Our services include advisory and consulting, system integration and complete managed services solutions. Matrix-IFS combines business & operations experience and technical expertise to assist financial services institutions to meet expanding regulatory and compliance requirements, and establish a defense against fraud and financial risks.Matrix-IFS has broad expertise across multiple solution platforms and experience helping more than 50 top-tier global financial institutions architect, implement and manage the day-to-day operation of compliance, AML, surveillance and fraud prevention programs. This means we can help institutions not only adopt or develop on a single platform but also build a comprehensive anti-fraud and compliance capability across multiple platforms. The company has developed and nurtured a broad expertise across multiple solution platforms and operational models. With our intimate knowledge of the predominant case management, compliance and fraud detection solutions on the market today including; Actimize™, Oracle™ Mantas™, Norkom™, Fortent™ and NASDAQ OMX™ SMARTS™, we help institutions establish the technology foundation of a top-performing fraud and compliance organization, and put in place the processes and resources to ensure our clients realize the financial, business and regulatory benefits of an industry-leading fraud and compliance program. 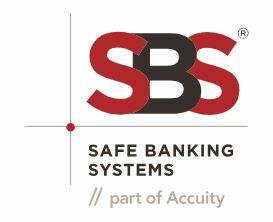 Safe Banking Systems (SBS), part of Accuity, is a technology-enabled company headquartered in Mineola, New York with offices in the Empire State Building, New York City and Kinnesaw, Georgia. Since 2000, Safe Banking Systems has been “thinking ahead of the risks” to combat money laundering, terrorist financing, fraud and other criminal activity. Our innovative solutions reach across business silos to help institutions identify, assess and manage enterprise risk, solving key Know Your Customer, Customer Due Diligence and Enhanced Due Diligence issues. SBS continues to demonstrate how we do things differently using a principles vs. rules-based approach to entity resolution. SBS’ SAFE Advanced Solutions Visual Intelligence Platform® (VIP) offers hosted or on-site capabilities across list management, entity resolution and watch list filtering. One of the unique capabilities of this solution is to perform watch list screening with a very low hit rate (<3% of identity transactions) leading to very low false positives, minimized false negatives and reduced operational expense. The patented risk ranking methodology and probability scoring in SBS’ SAFE Advanced Solutions Visual Intelligence Platform ® provides targeted alerts that do not overwhelm the operations staff while at the same time minimizes the risk of false negatives. VIP brings greater intelligence for entity resolution to clients worldwide. SBS measures its success in terms of the value we add to customers and the difference we make in the marketplace. Ranked #1 for Customer Satisfaction in the 2017 RiskTech100® report, SBS delivers a customer experience of the highest quality. SanctionsAlert.com provides authoritative and objective guidance, news, webinars and other training to corporations, financial institutions, lawyers, consultants and others on the requirements of and compliance with economic sanctions and export controls imposed by the United States, United Kingdom and other governments throughout the world, as well as by the United Nations, European Union and other international organizations. We host OFAC/Sanctions seminars and conferences in the US and Europe.